It can be easy to assume that everyone eats relatively the same foods that you do. When it comes to your favorite foods, be they a juicy burger, an amazing plate of enchiladas, or anything with chocolate, it’s hard to imagine someone not loving these meals that give you great joy. But there are tons of dietary restrictions that people follow, for a variety of reasons, and when we know how to respect these choices, everyone wins. As a halal grocery store in Calgary, Basha Foods International knows how important it is to offer a variety of foods for people of all backgrounds and lifestyle choices to enjoy. Learn some ways that you can respect the diets of others, and stop by our international grocery store for a selection that can’t be beat. Following a halal diet, for example, means eating permissible foods that are accepted in the Muslim faith. Hearing that a coworker has never consumed alcohol or eaten pork might immediately result in your jaw dropping and tons of incredulous questions (“You’ve never eaten bacon? What about ribs? !”) to follow. Lots of people are used to such reactions, but approaching with an attitude of learning and listening is crucial to showing respect. Be it from a halal diet, a food allergy, or an -arian diet that you’re unfamiliar with, you can ask about dietary changes that are different from yours. It should, however, be phrased in a way and a tone that implies you’re interested in learning more — and that you respect a lifestyle that’s different from your own. Let the speaker hold the reins in the conversation, and let them share what they’re comfortable with (avoid prying for more information). Listening with an open mind is the first step to understanding and embracing diverse lifestyles and eating habits. Bringing food into the office? Making a cake for a friend’s birthday? Going out for lunch with some coworkers? No matter what the occasion, one of the most important steps to respecting other people’s diets is making sure you’re planning ahead. If your good friend practices veganism or you know a colleague is avoiding foods with high cholesterol, find places or make foods that they can enjoy and partake in as well. Nothing is worse than showing up hungry to an event, only to find out you can’t eat anything that’s available — you can act as an ally to help change that. 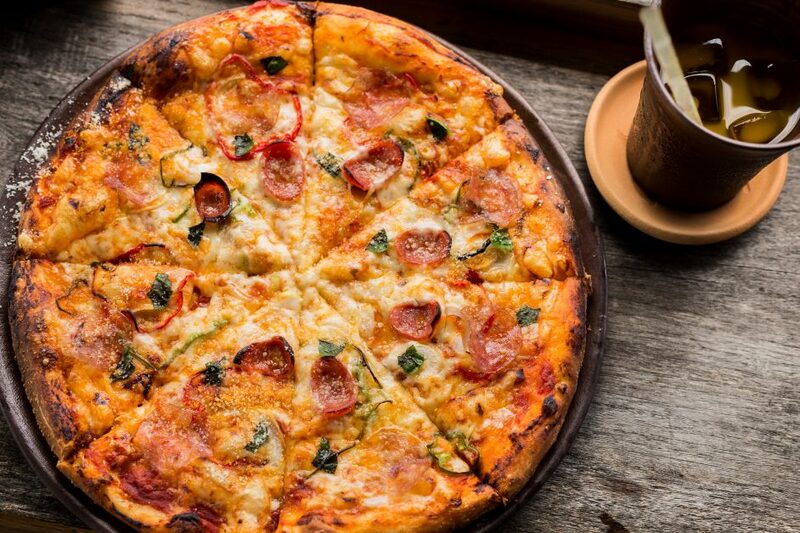 When you get a craving for a savory, cheesy, steaming hot piece of pizza, it’s hard to let go of that desire. But if you’re with someone who can’t eat that same dish for their personal choices, you sometimes might need to be willing to compromise. Make food or visit an establishment that works for you and the person you’re dining with — or, in some cases, get your own dish that meets your needs and make a second dish that meets theirs as well (that way you can have your pepperoni pizza and they can have their fish tacos and everyone’s happy). In other situations, you’ll sometimes need to put your personal cravings on the shelf to find a middle ground that works for both of you. Whereas you might have cravings, they might not be able to actually eat anything if you go solely based on what you’re in the mood for. We’ll cover some types of dietary restrictions in our next blog, but in the meantime, know that Basha Foods International is a halal grocery store where people of all backgrounds can find the food and ingredients they’re looking for. Visit us in Calgary today!